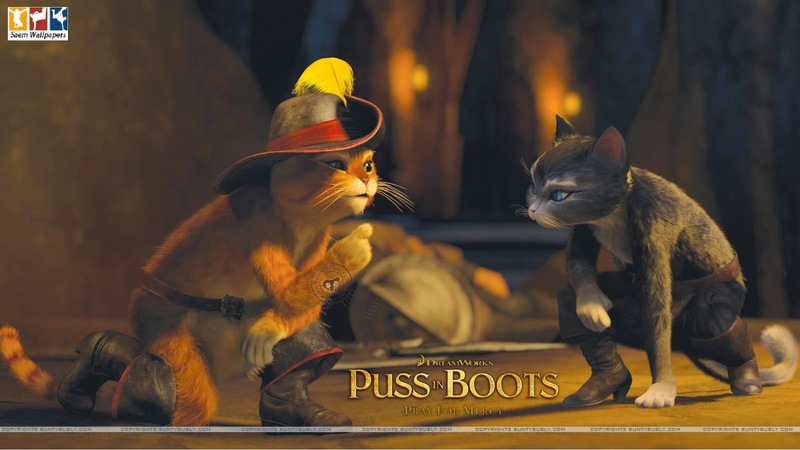 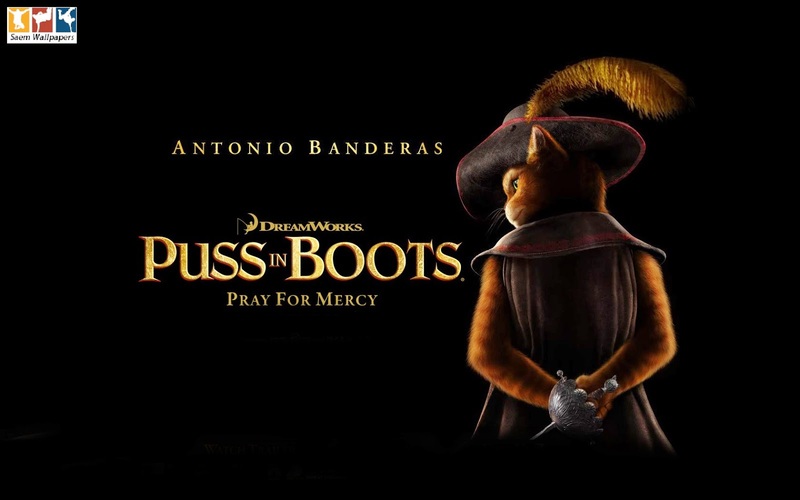 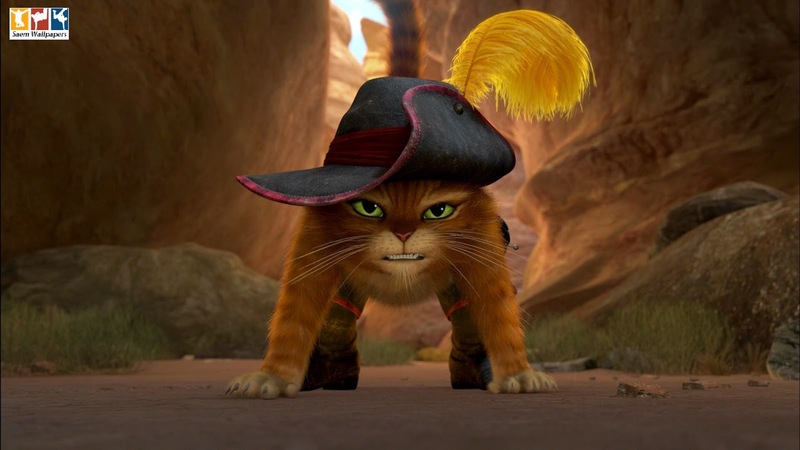 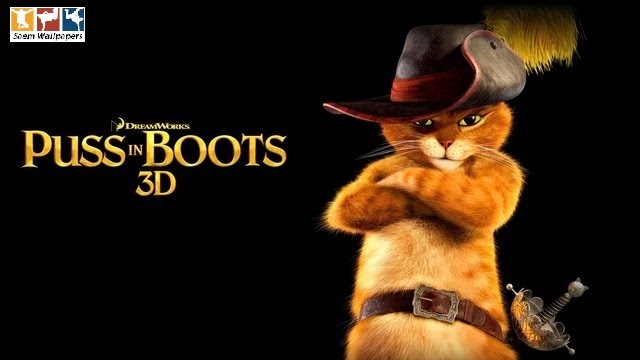 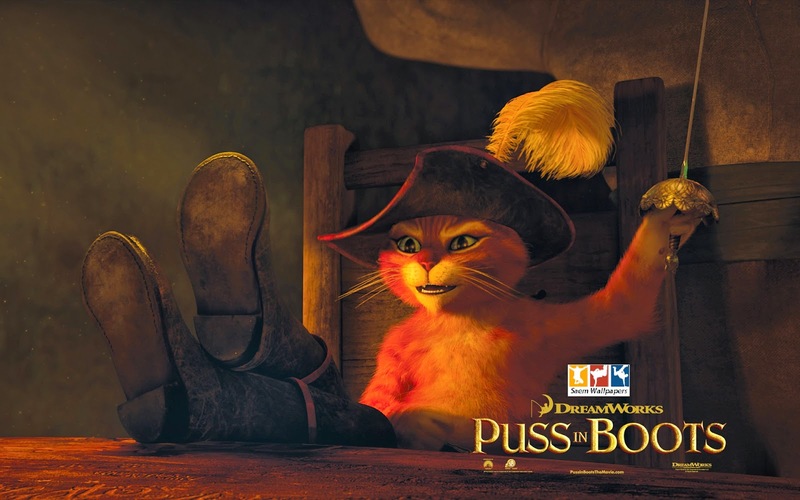 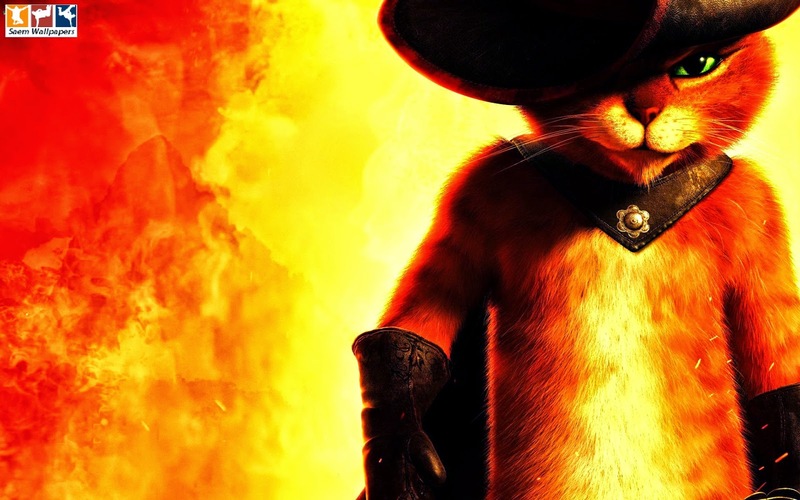 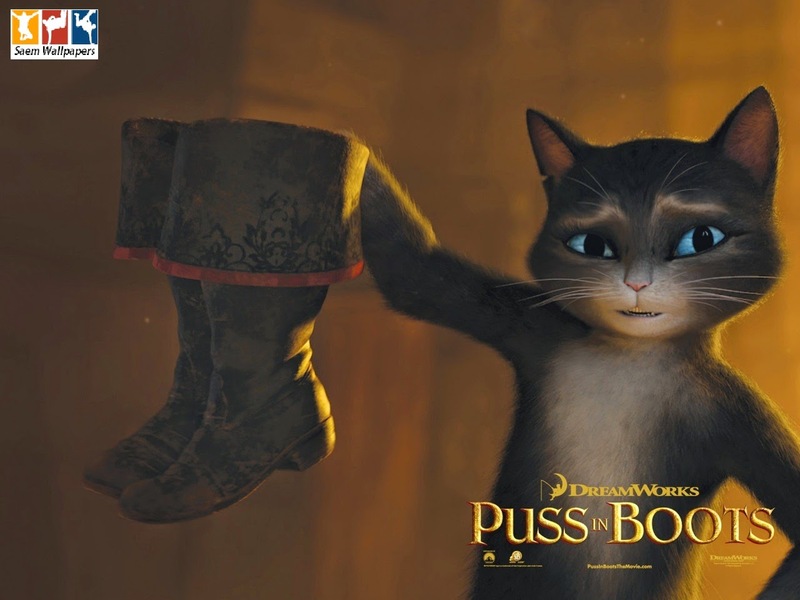 Wallpapers / Unlimited information: Puss in Boots. 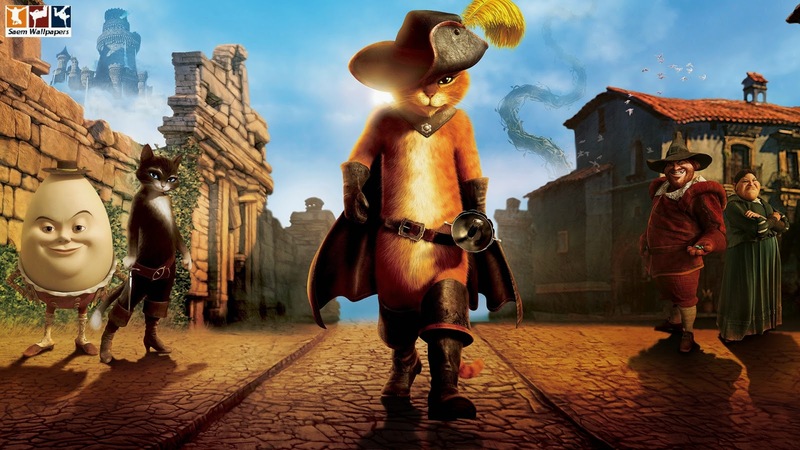 Long before meeting Shrek, Puss in Boots, just named a hero for saving a woman from a charging bull, ran out of town on suspicion of bank robbery, even though the real villain is Puss' friend, Humpty Dumpty. 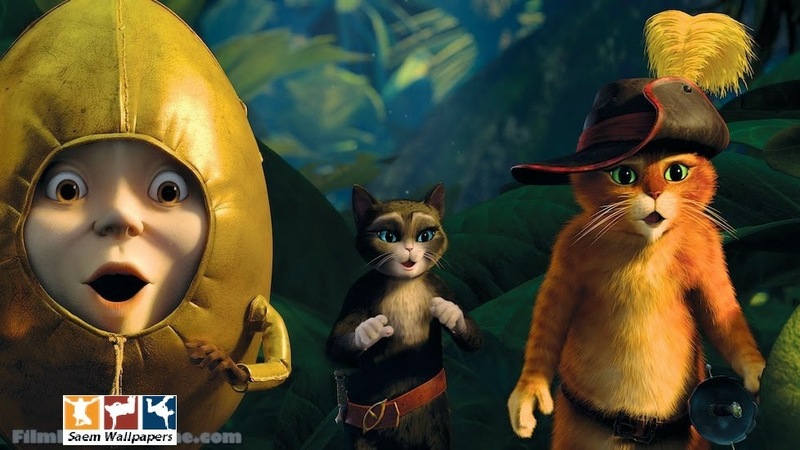 Though there is still animosity between them, Puss and Humpty reunite to steal a goose that lays golden eggs. 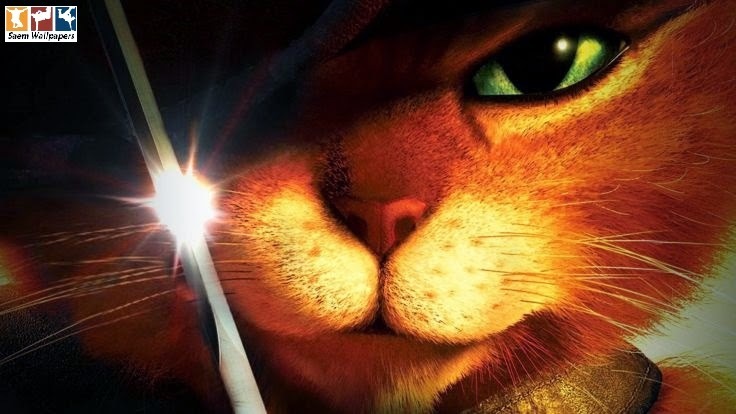 Joining them for the adventure of nine lifetimes is notorious cat burglar, Kitty Softpaws.